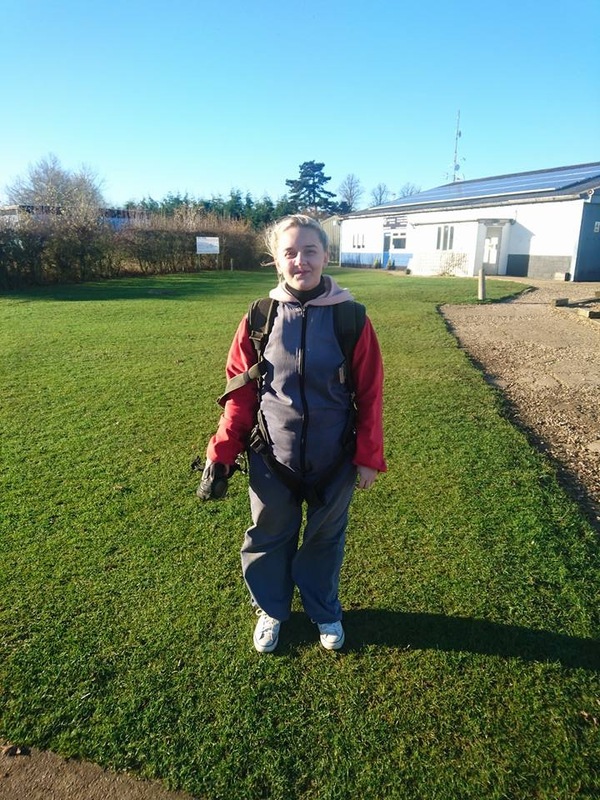 I started my fundraising in 2016, I was 19 and I decided I was going to do a skydive in support of my sister and for the Worcestershire Breast Unit. I had always wanted to do this and I was sure if I did I would do it for a charity; when my sister was diagnosed I knew it was a perfect time. It started as a joke as I couldn’t shave my hair for her, I said I’ll jump out of a plane for you, after this it then stuck and it all began to come in to place and it was booked before I knew it. My skydive took place in November 2016 and I jumped from 13,000ft. I wanted to do this for my sister as the fear she faced every morning I could share with her for one morning before I jumped. This meant for one day it wasn’t about her or the cancer, she didn’t have to worry or think about it for one moment. I chose to do my fundraising for the Worcestershire Breast Unit Haven because they have been amazing with my sister from start to finish and they are local to me and everyone around, they will be there when and if we need them. I wanted to help them continue to work and to say I’ve been a part of the work that they do is an honour. I hope they continue their work and have support from others too. I loved my skydive and cannot wait to do another one! In total I raised £993 and would do it all over again, I can’t thank the unit enough for their help and support.